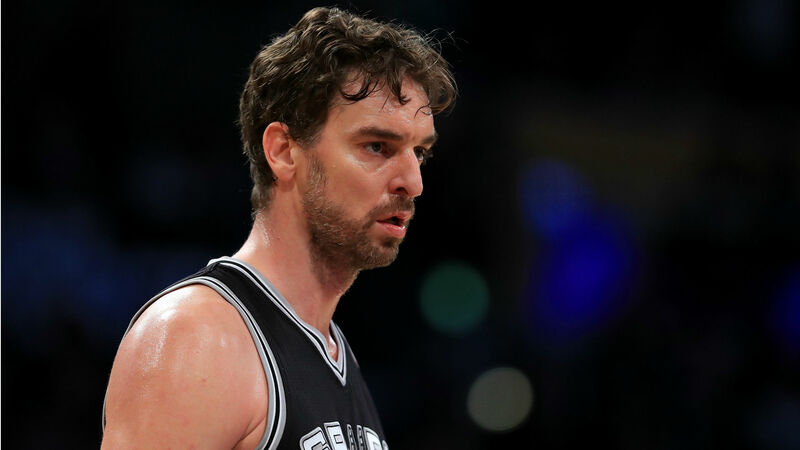 Pau Gasol has denied he asked the Spurs to trade him. Reports surfaced earlier this month that said Gasol requested San Antonio move him before the deadline. Gasol, however, said those rumors were not true when he spoke with reporters Tuesday. “I didn't request to be traded,” Gasol said, via the San Antonio Express-News. “It's not that I want to comment so much on it because it is what it is. I think people understand or can figure out that my situation is not what was expected for me. The six-time All-Star is averaging career-lows in points (4.4), rebounds (4.7) and minutes (12.5) per game over his 26 appearances in 2018-19. He has one season remaining on the three-year, $48 million contract he signed with San Antonio in July 2017. Gasol was asked Tuesday if he was seeking a buyout. The Spurs will enter their matchup Tuesday against the Grizzlies in seventh place of the Western Conference with a 32-26 record.